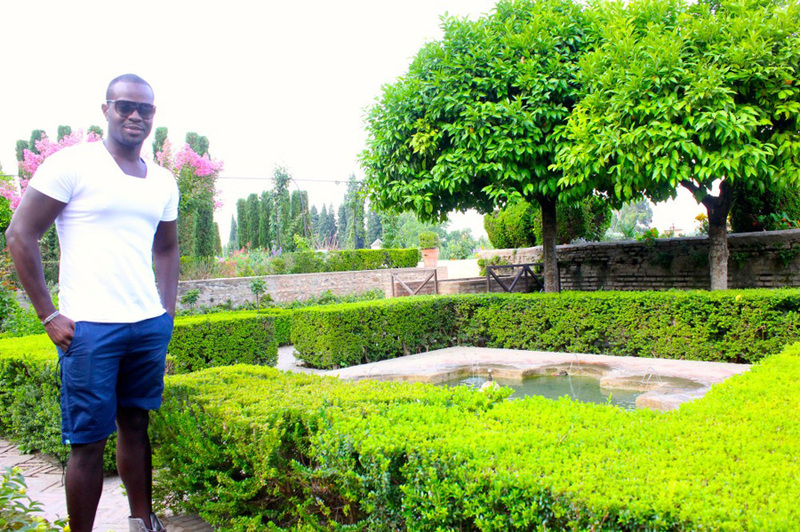 This sangria that I’m drinking is relatively okay. 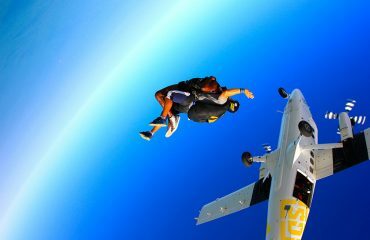 As a matter of fact, it’s quite mediocre to say the least. 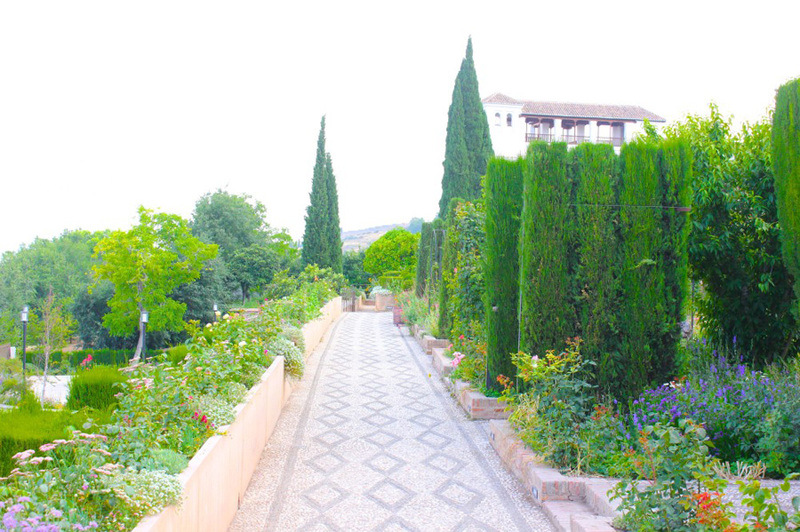 However, I don’t mind. 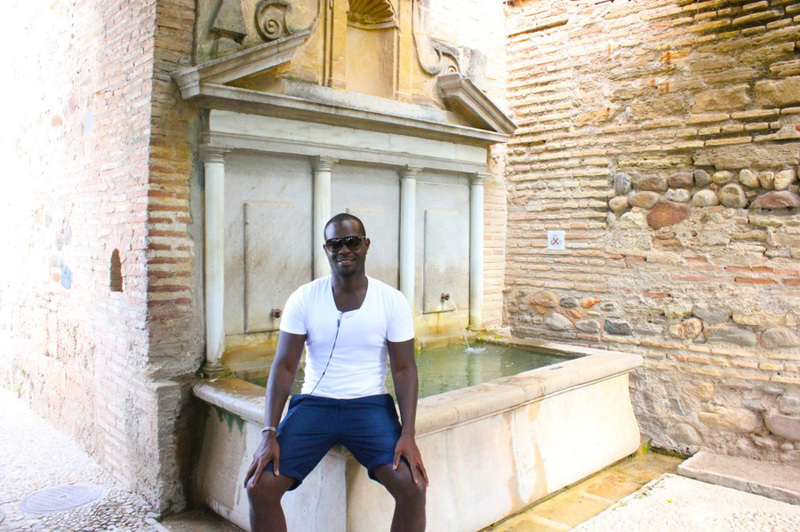 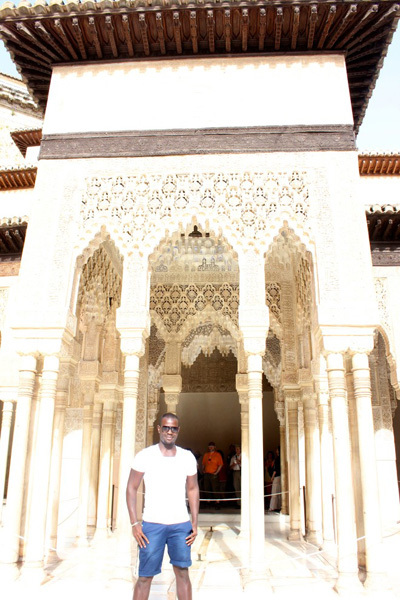 I came here for one reason only… a photo-op in the historic city center of Granada. 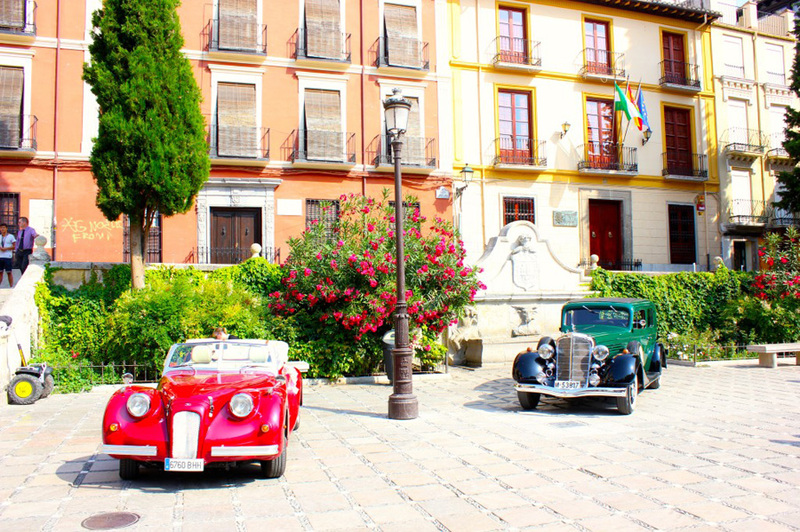 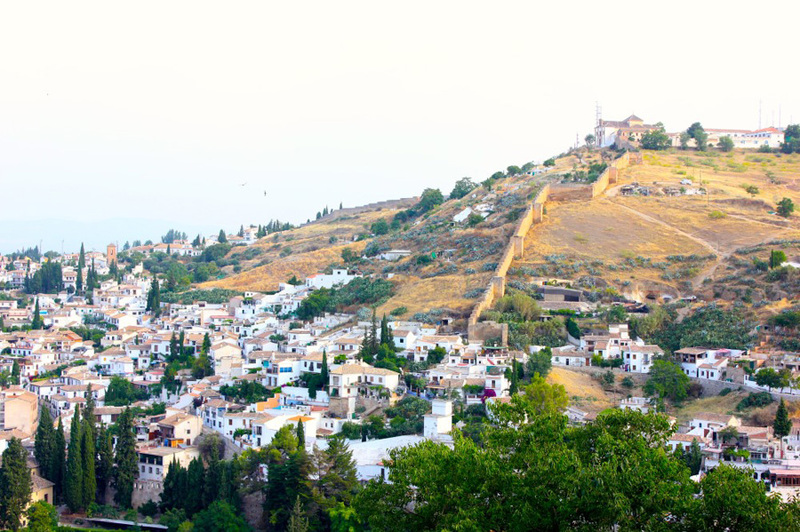 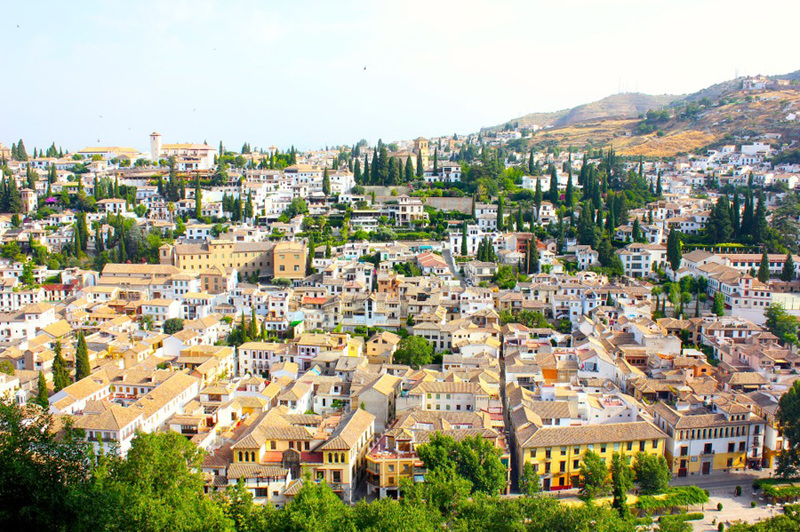 Located at the foot of the Sierra Nevada, Granada’s beautiful landscape and cheerful skies makes it a sought after destination for many in the South of Spain. 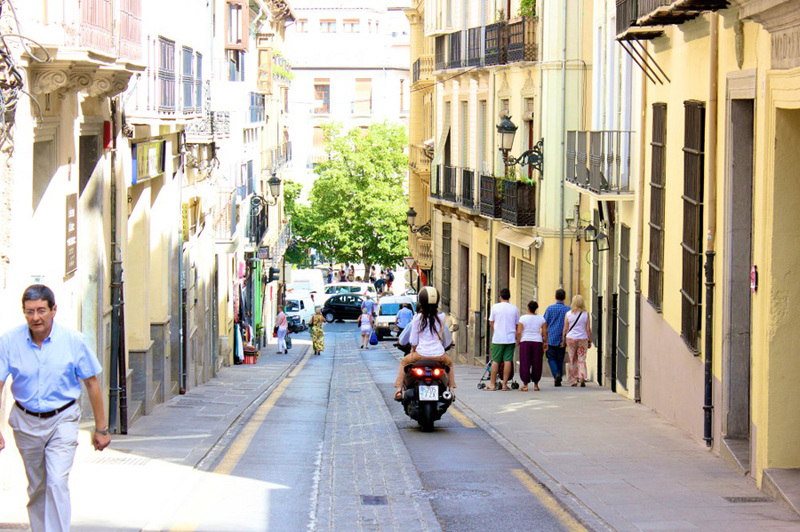 The city’s rich heritage and scenic alleyways guarantees to help you unwind and bask in the beauty of your surroundings. 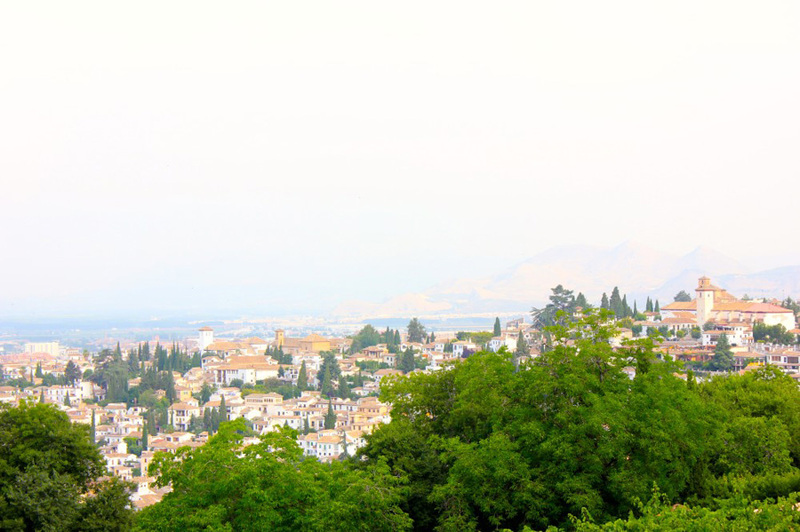 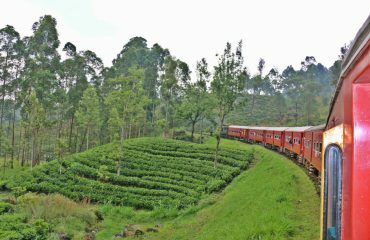 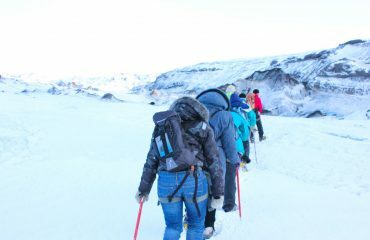 Granada to some is merely a destination. 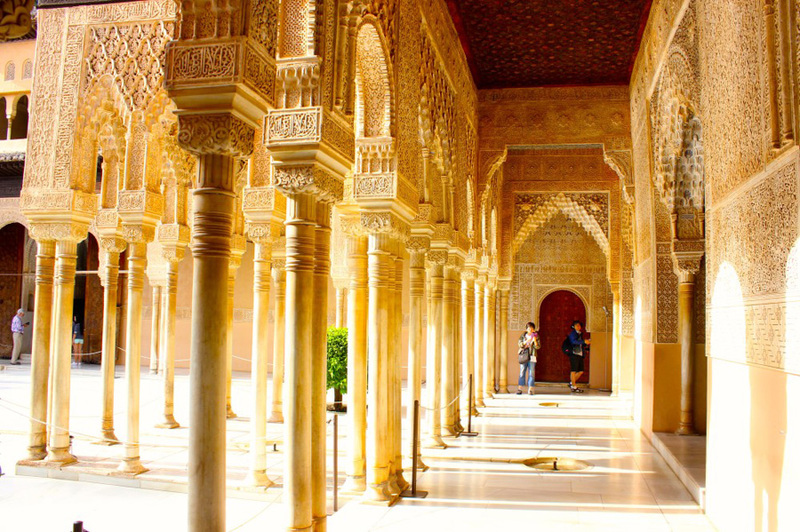 For me, I’ve been captivated by its solid testament to past time periods and cultures. 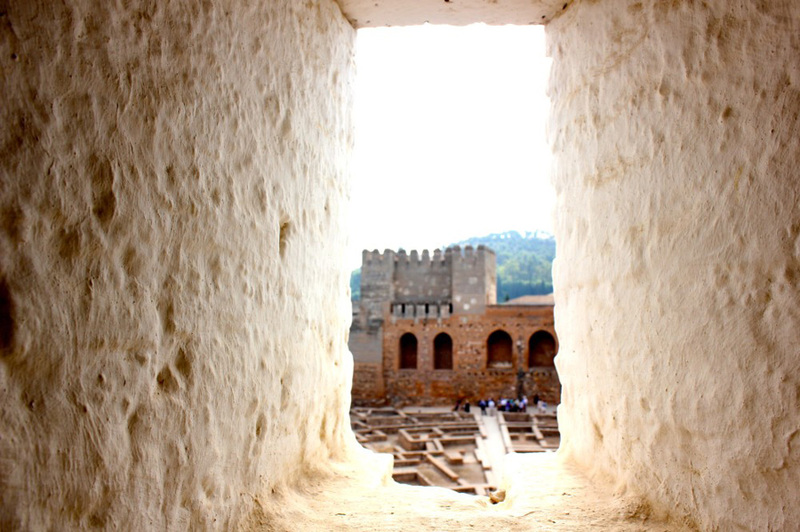 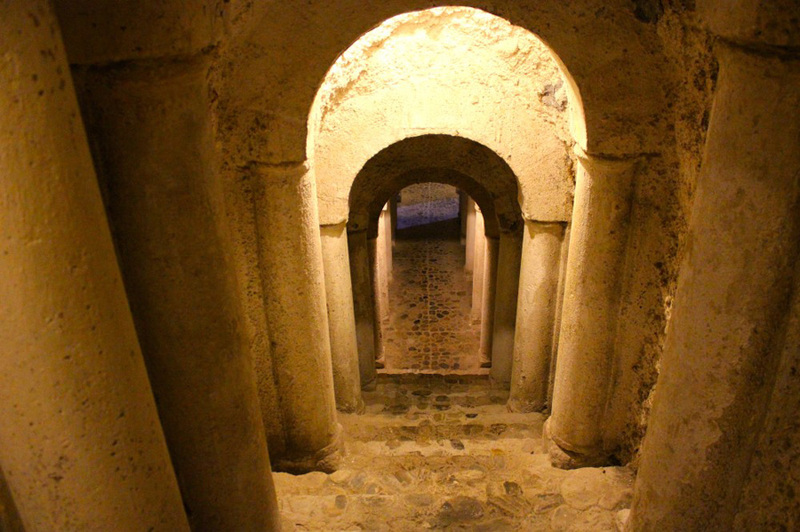 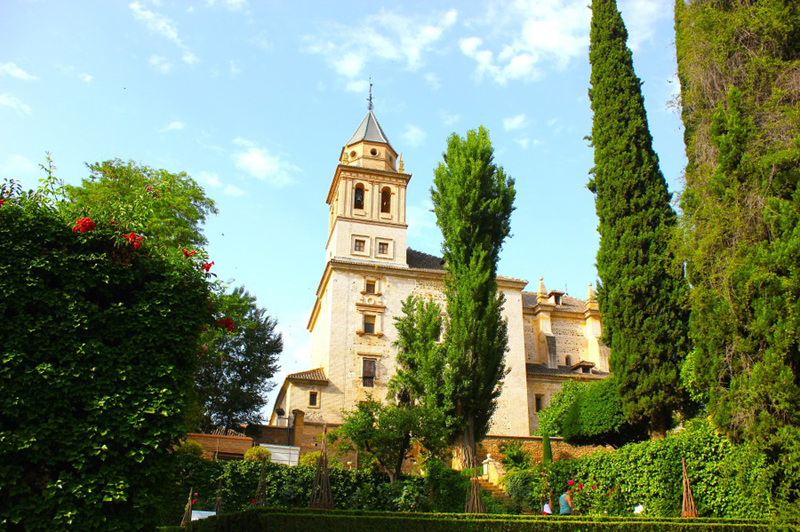 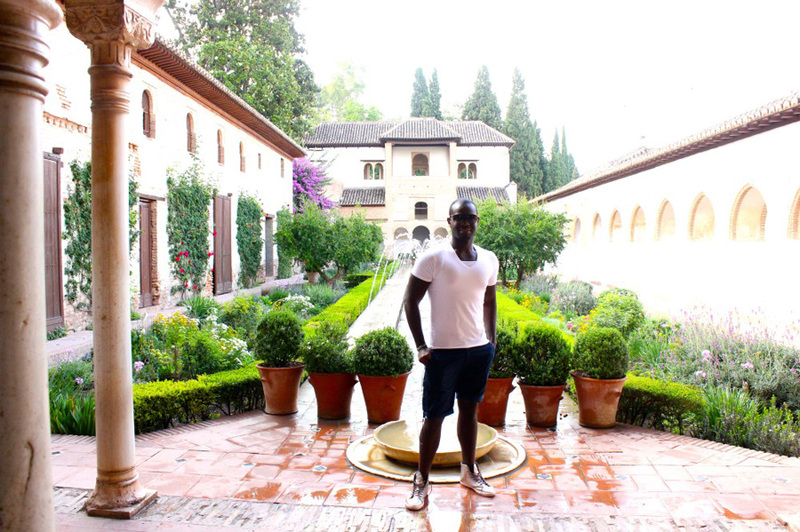 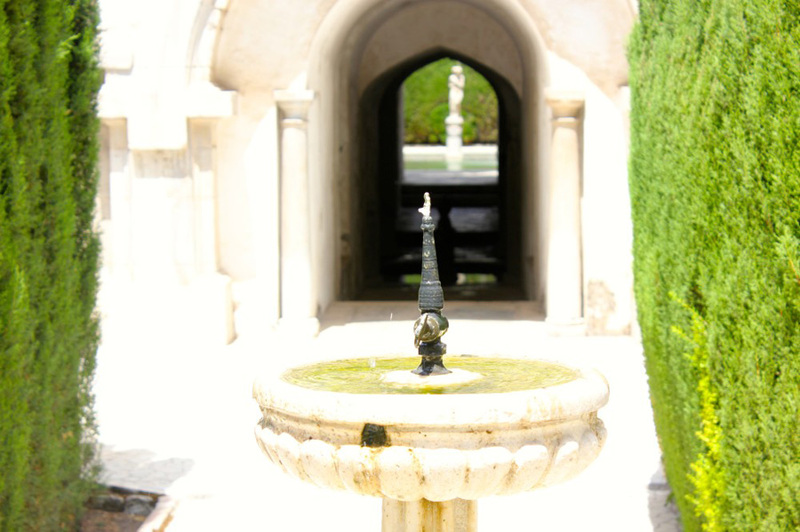 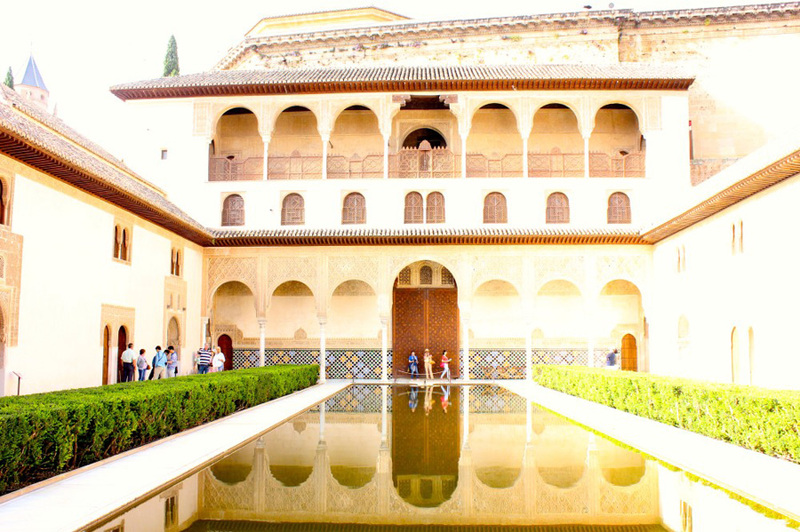 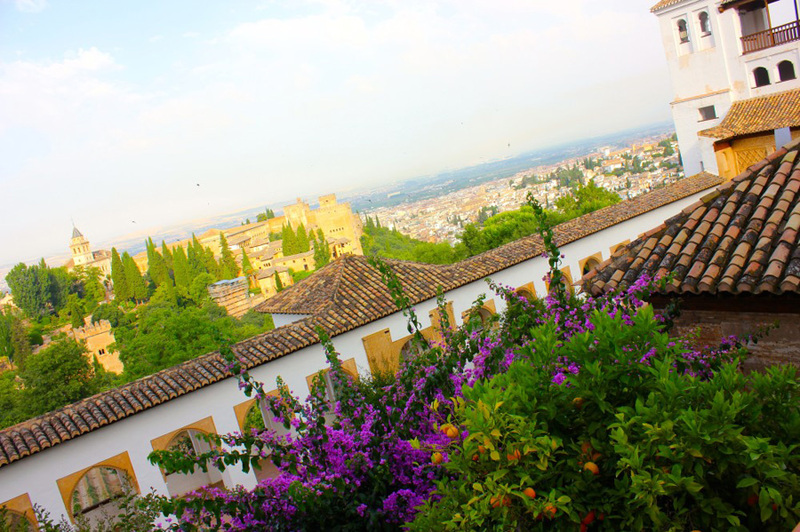 Let’s explore the legend behind this wonder and get wonderfully lost in the historic center of Granada, Spain. 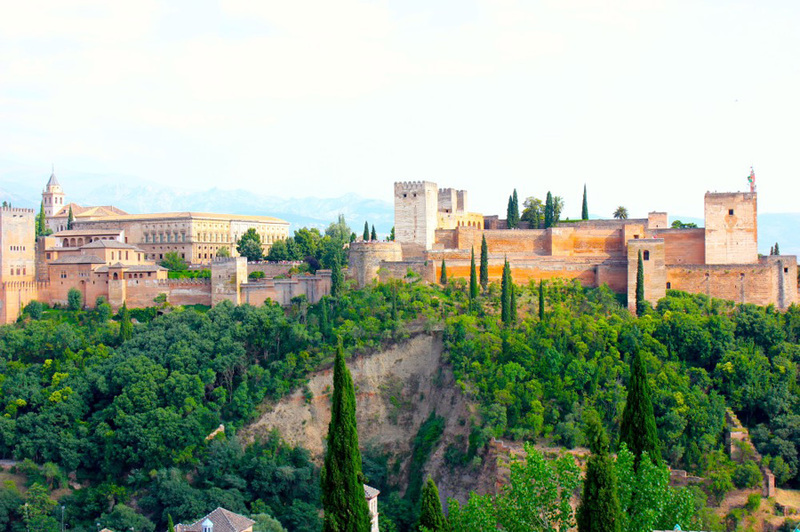 Granada’s Alhambra Palace is utterly impressive. 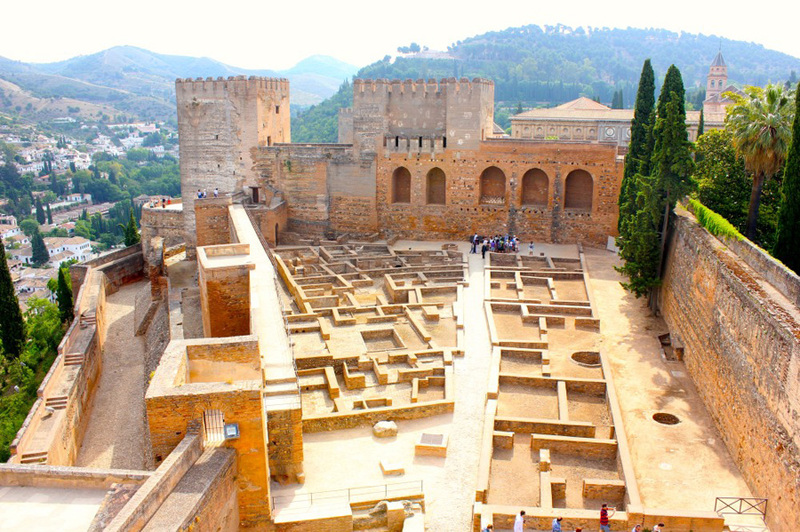 Boasting unique artistic creations from the 16th century, the Alhambra is the best place to learn more about Spain and the Moorish culture throughout the Middle Ages. 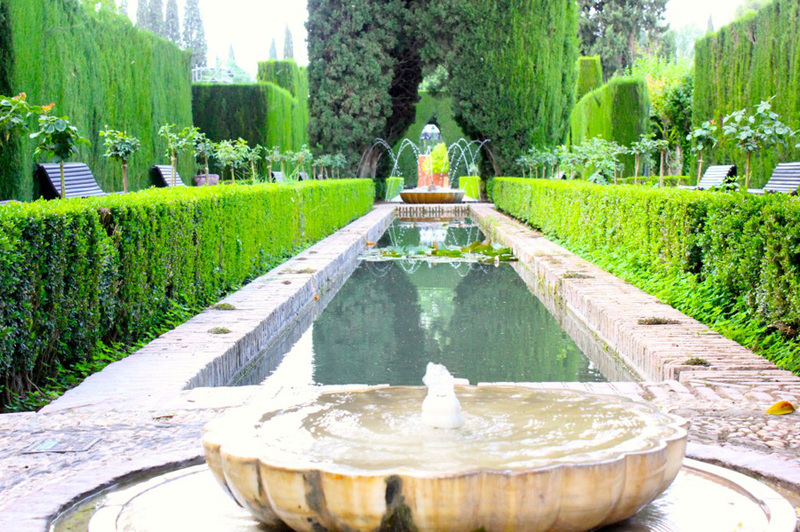 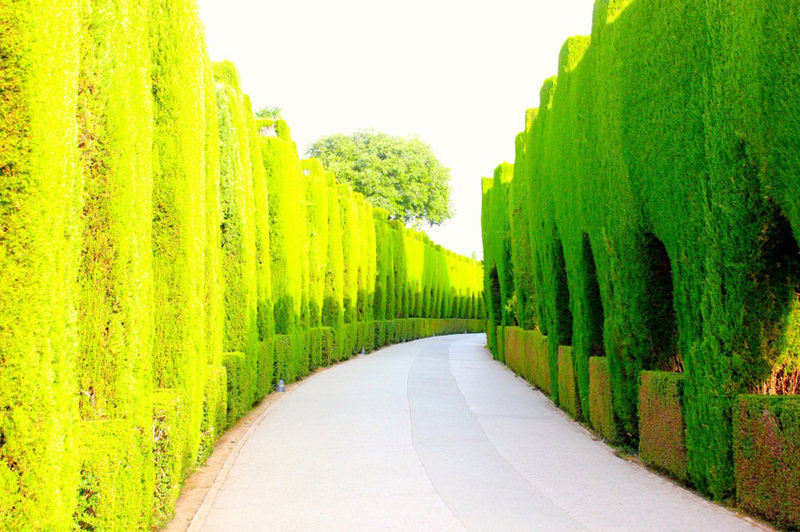 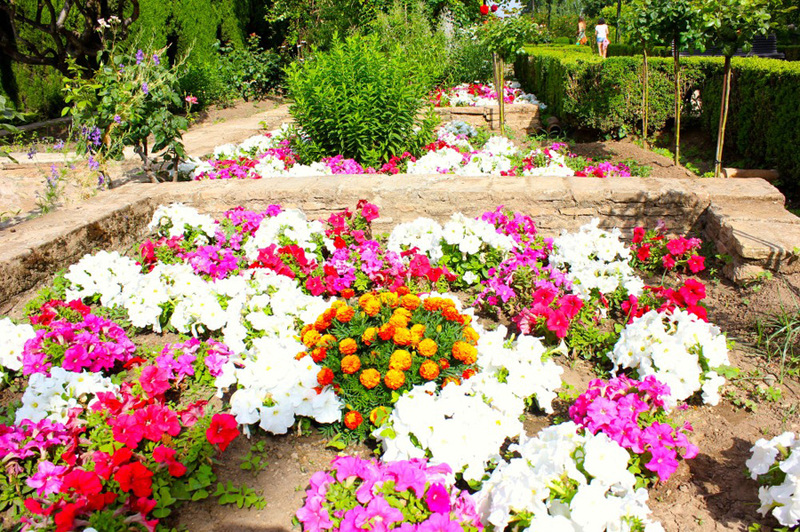 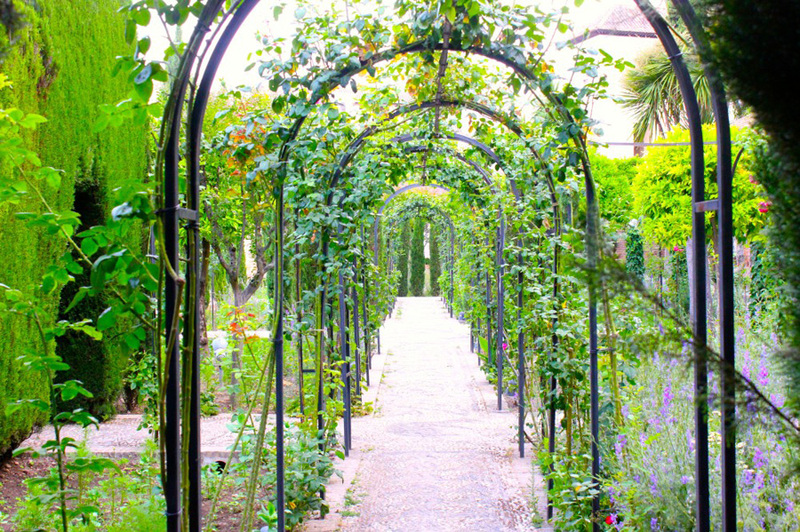 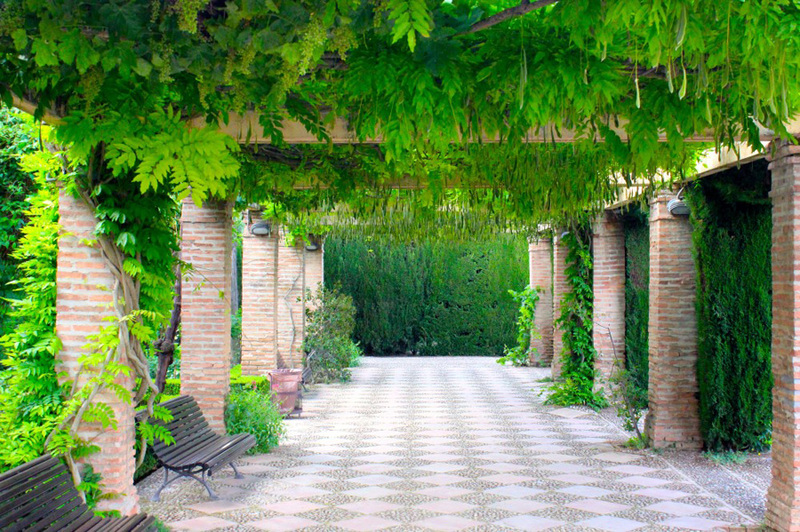 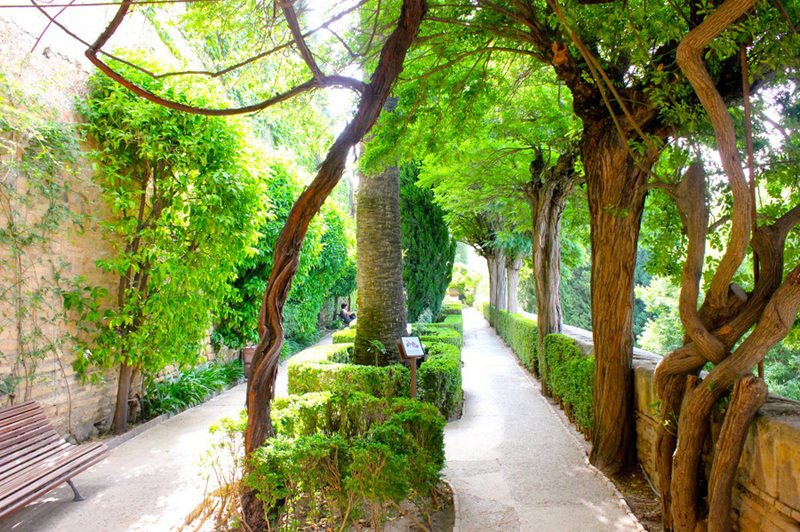 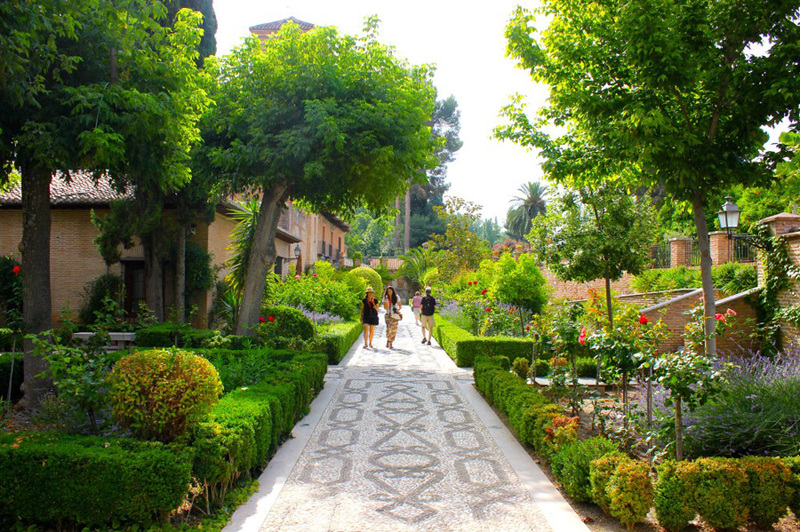 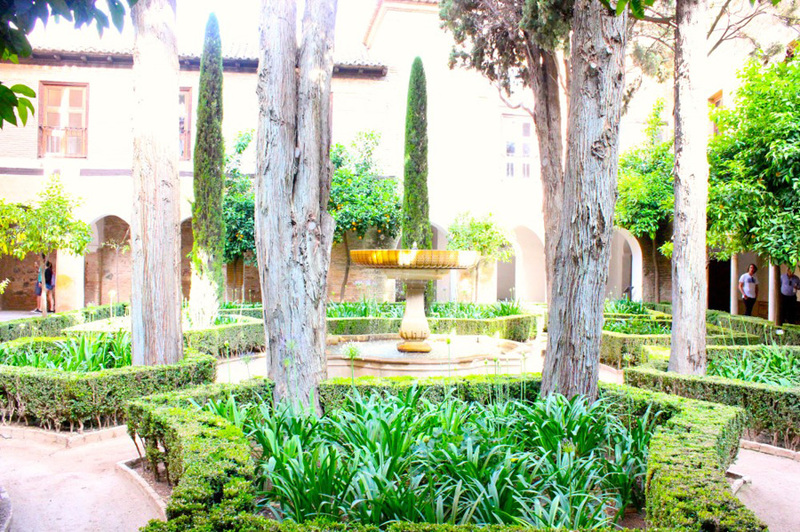 Amazing gardens, beautiful buildings, and inspiring beauty at ever corner easily makes the Alhambra Granada’s dominant, must see sight. 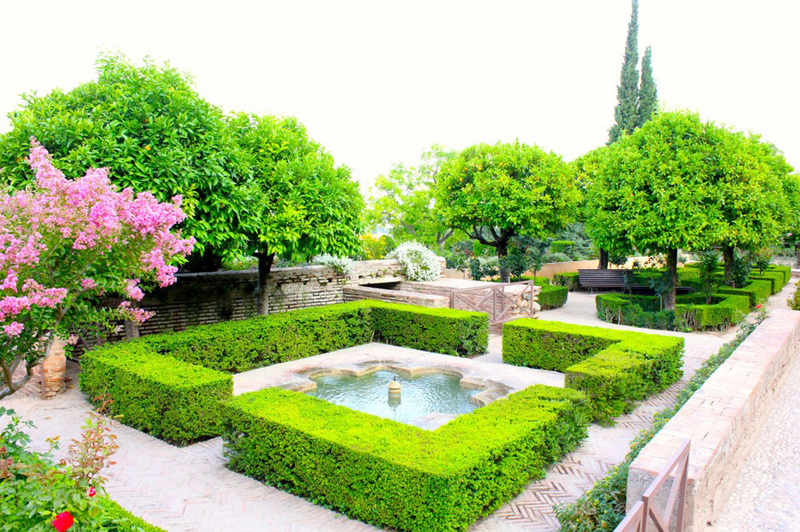 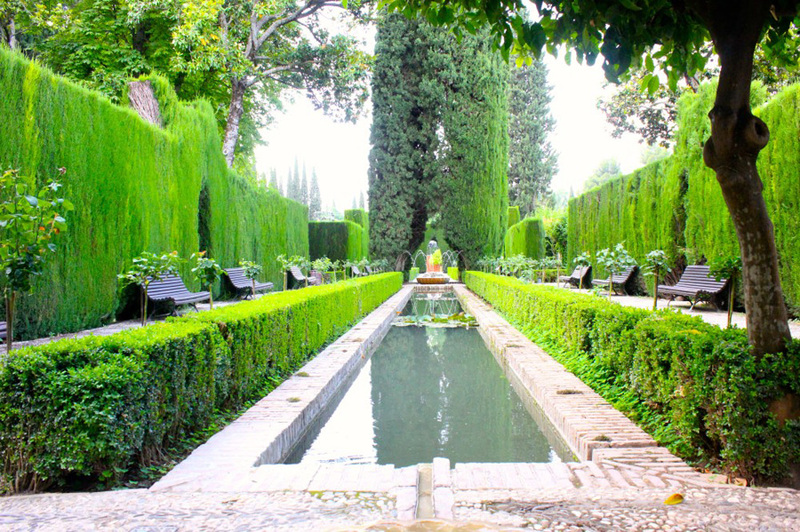 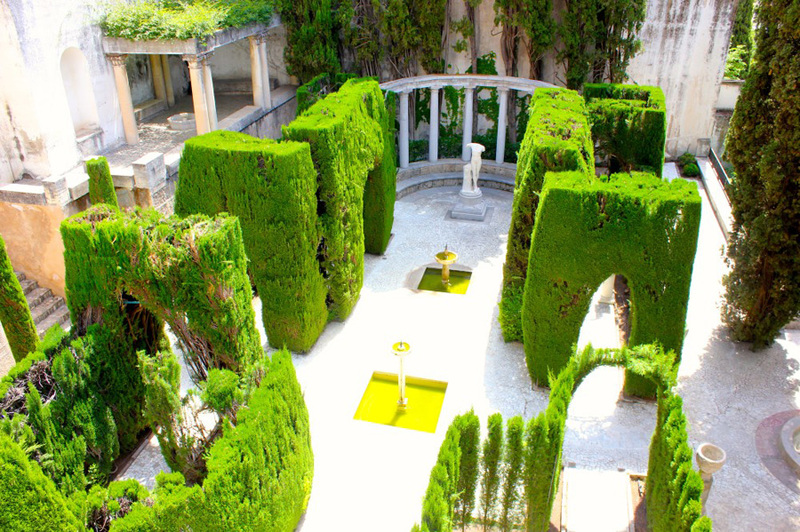 Located on the same hill as the Alhambra, the Fundacion Rodriguez Acosta is a stunning villa by the famed painter, Rodriguez Acosta. 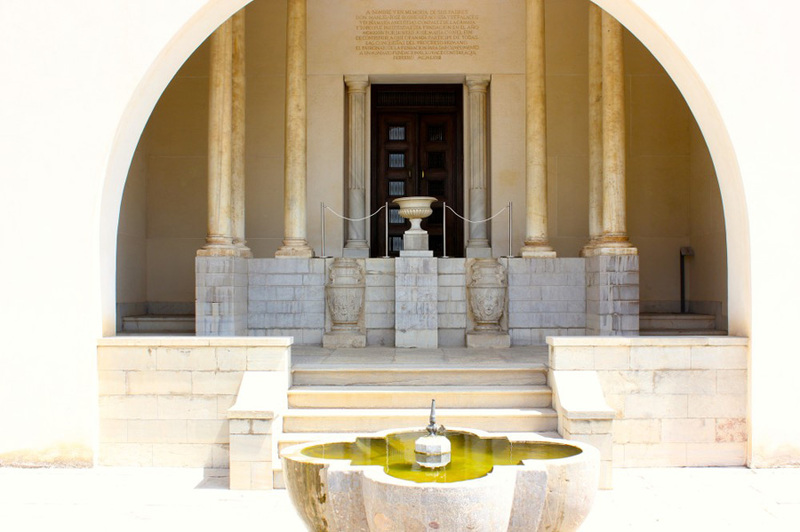 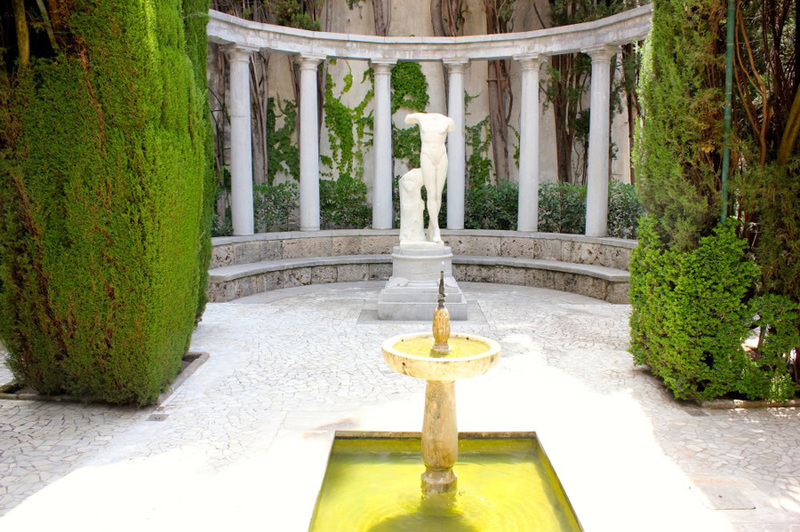 This classical villa consist of 5 levels of complex gardens and a immaculate collection of ancient pieces. 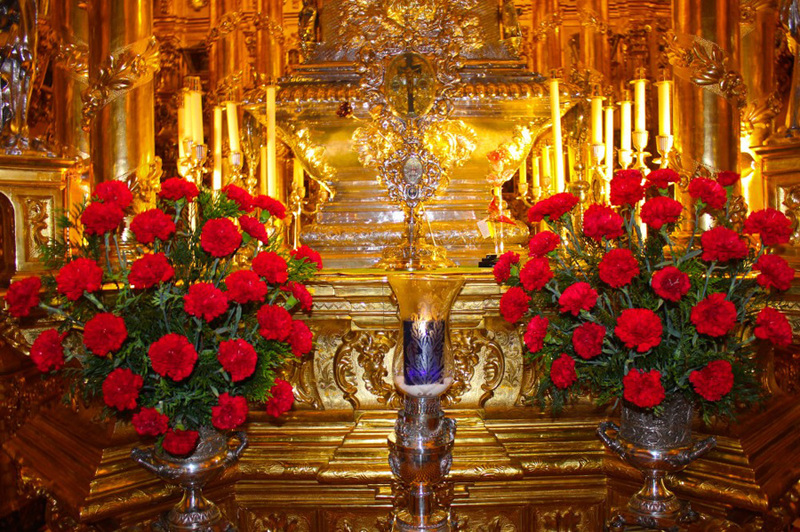 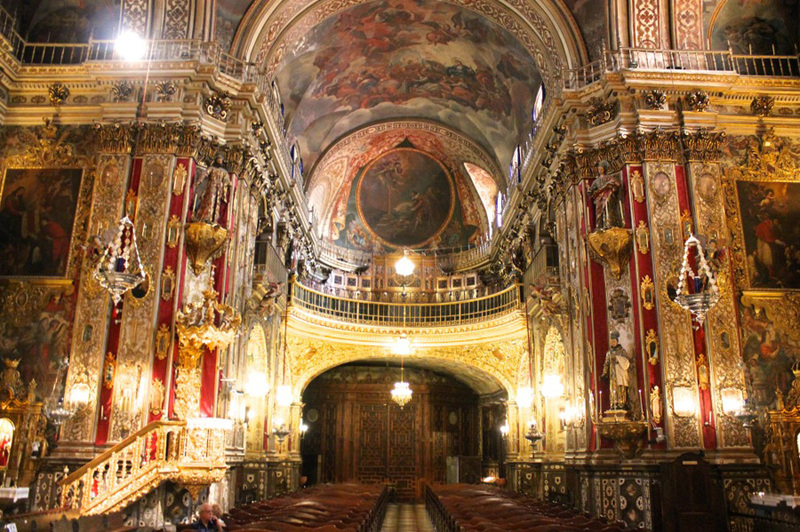 If you love Baroque style architecture, Basilica de San Juan is a must see. 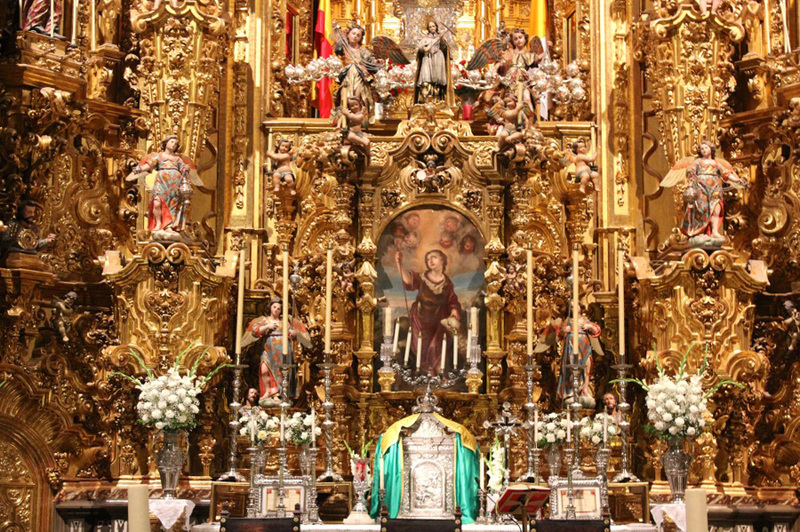 Every surface, statue, and carving is covered in gold. 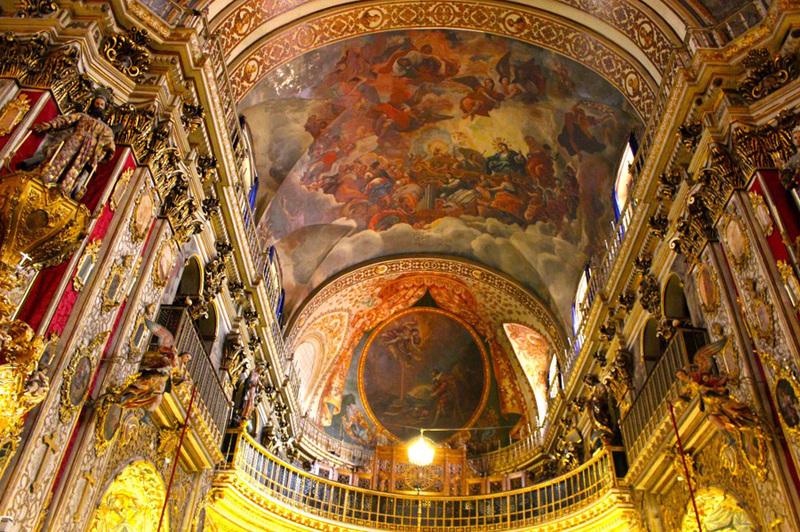 This basilica is mind-blowing to say the least. 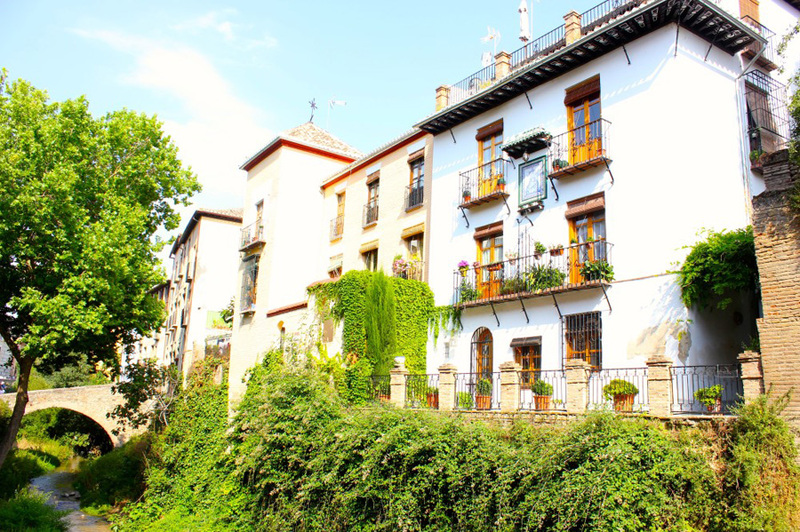 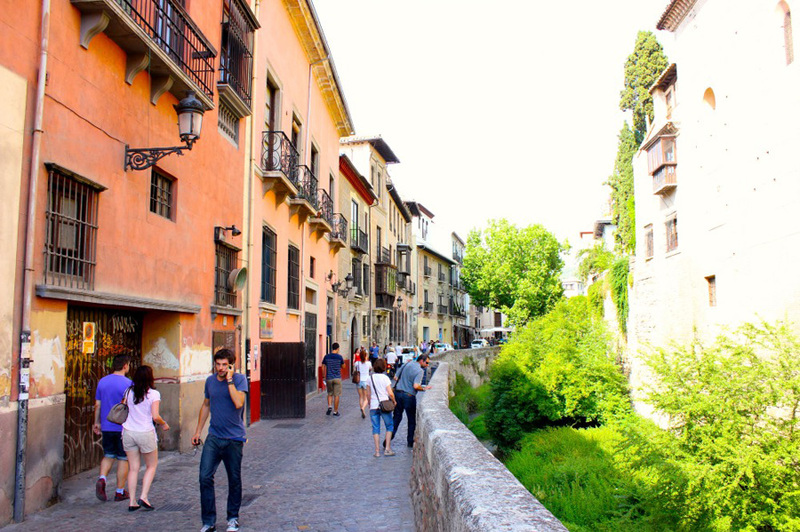 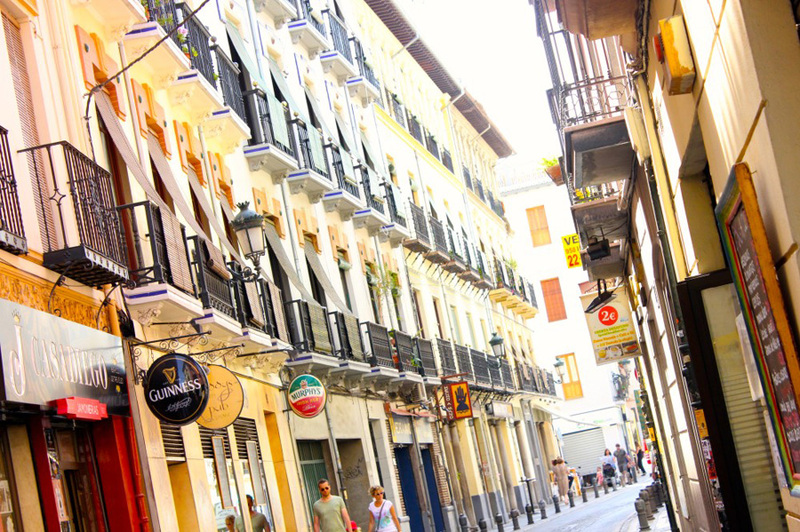 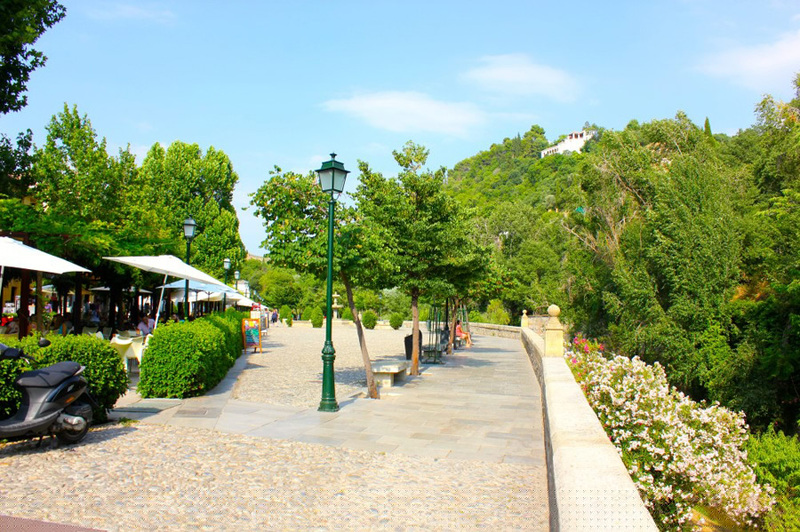 Carrera del Darro is a scenic street along the river with many restaurants and pubs plastered on every corner. 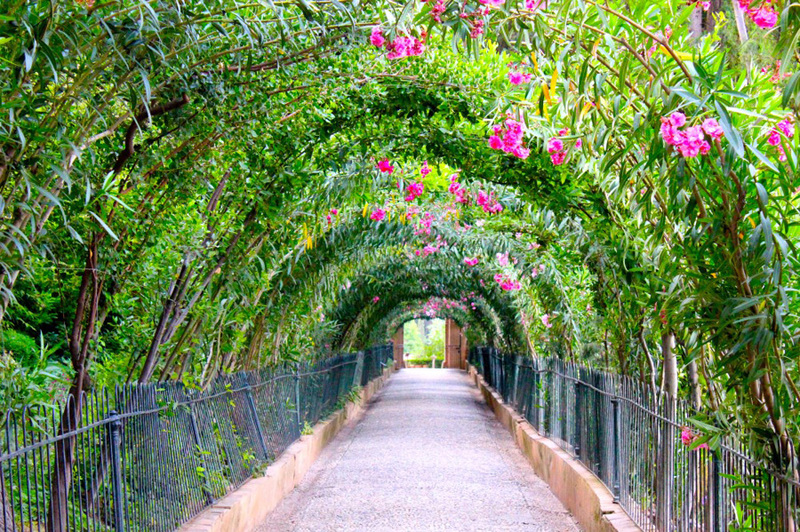 This area is worth a stroll. 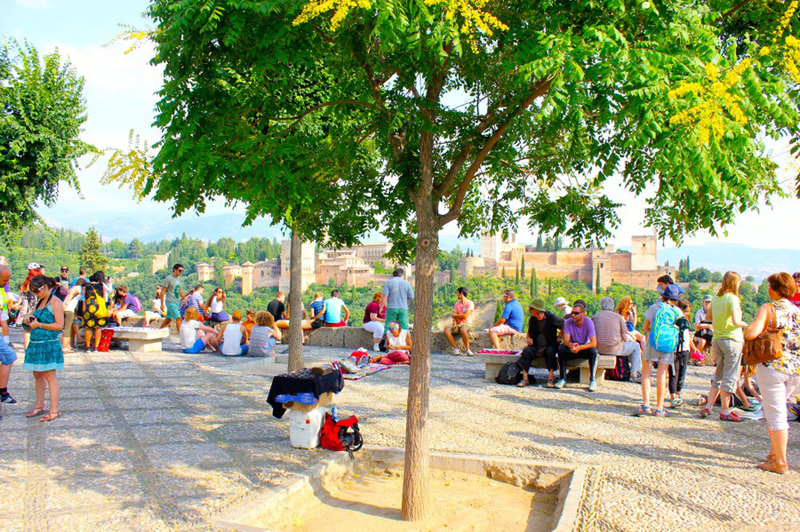 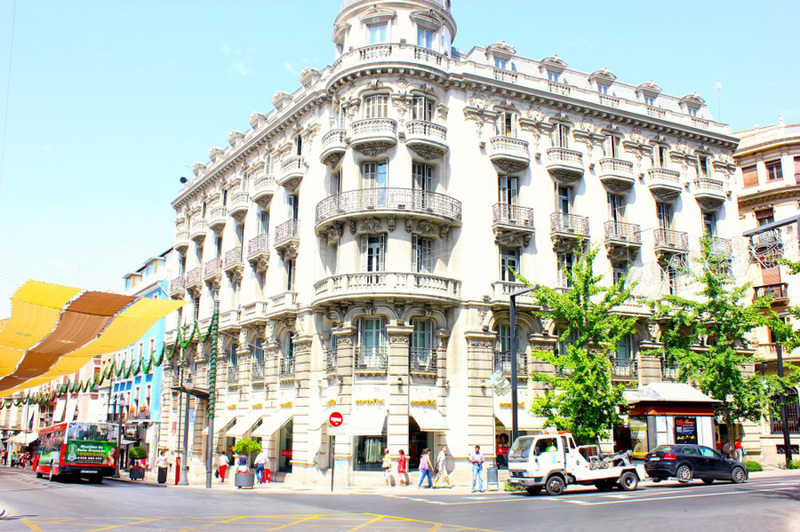 Plaza de San Nicolas is one of the best places to people watch and get a panoramic view of the city. 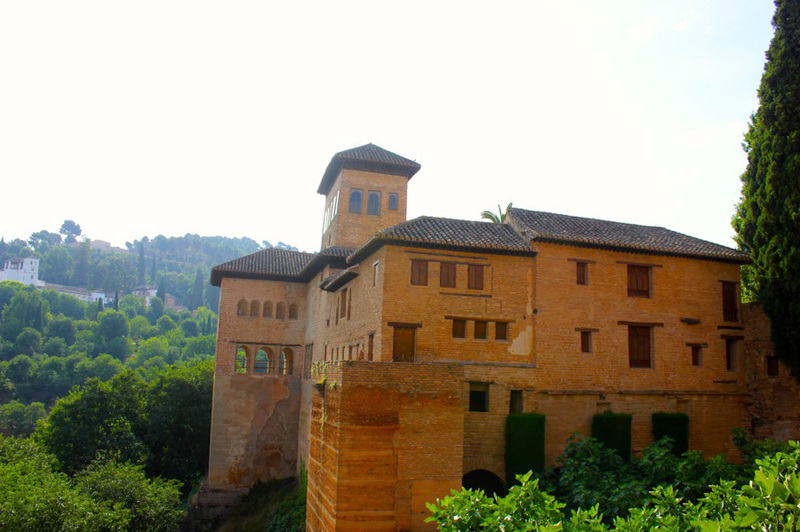 Be sure to catch the sunset against the Alhambra during the evening – it’s quite beautiful!